Additional suicide prevention resources are available at The Suicide Prevention Resource Center and at Stop A Suicide Today. 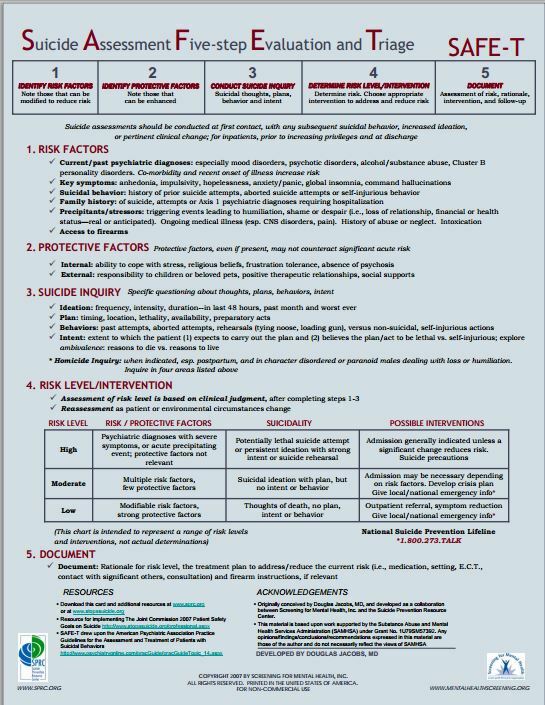 This entry was posted in Medical Decision Making, Medical Scales and Forms, Mental Health Monitoring Forms, Mental Health Resources, Psychiatry. Bookmark the permalink.